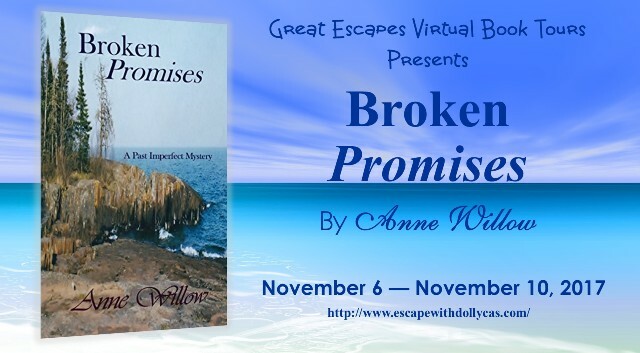 Broken Promises (A Past Imperfect Mystery #1) by Anne Willow is on book tour and stops here today. Be sure to add this cozy mystery to your collection and enter for a chance to win the tour giveaway. 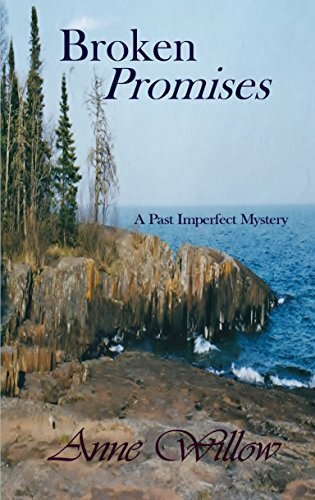 Anne has always loved the North Shore, especially Lake Superior near Grand Marais. She lives there with her husband and two children. When bringing the Past Imperfect series together, Anne couldn't think of a better place to have Julia's shop. If you find yourself traveling through, stop by Artist Point, you may just find her sitting on the rocks.